I'm not the most domestic of stay-at-home-moms. In fact, I might actually be the least domestic. Anyway, I do like baking sweets. Treats that require no baking are even better. 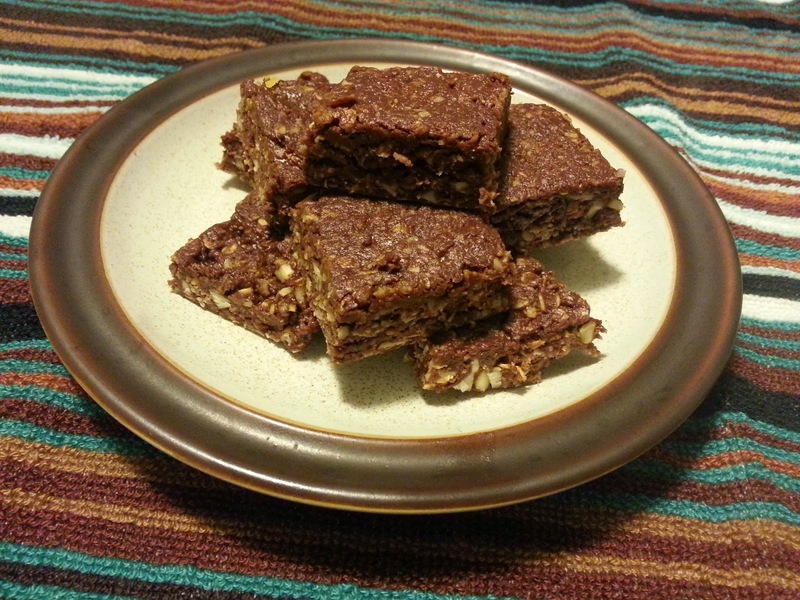 Which is why this recipe for Best Ever Chocolate Oatmeal No-Bake Bars on RainCityMama.com really grabbed me. I tried making them a few days after I saw the link & I have to admit: they do satisfy my notorious sweet tooth. They were quick to make & I had every single of the ingredients sitting in my cupboards. Of course, if you didn't, there's a lot of variations you could do that would still taste fantastic--it's a pretty flexible recipe. After having had several dozen samples, I can officially say they are tasty, fudgy, & definitely satisfying without being cloyingly sweet. I think next time I make them I may experiment with less honey, since the chocolate chips I used are already sweetened & I think they could handle being less sweet without taking all the fun out of them.